PG Paper Company works across many local and previously unsought markets across the world. Around 85% of our exports go to our main markets in the Indian subcontinent, and we are constantly developing our presence in new markets across the world including North Africa, CIS countries and South America. We seek out new, on-going opportunities that offer a win-win situation to our partners and clients. Our local knowledge, multilingual abilities and understanding of the many paper grades we work with ensures we can offer paper for alternative and innovative uses across our markets. Our dedicated in-house logistics team have extensive global export knowledge to ensure your good arrive in a safe and prompt manner. We have close relations with global carriers and are able to offer our customers a vast range of logistics advantages. Strategically located near a busy seaport in the west of Scotland, UK, we are an ideal choice for our customers and suppliers. Our global network allows us to collect from all corners of the globe, and our experienced documentation staff turn around necessary documents with speed and accuracy. We consistently provide a quick, smooth and well-structured high level of logistical competency for your peace of mind . Established in 2003, PG Paper is an award-winning company, based in Scotland, UK. Created and driven by our CEO Poonam Gupta OBE, the company has been led with strong values and ethics, which have been crucial in our success as a leading paper company in the UK. Over the last few years, the company has grown rapidly, and is now one of Scotland’s biggest exporters. 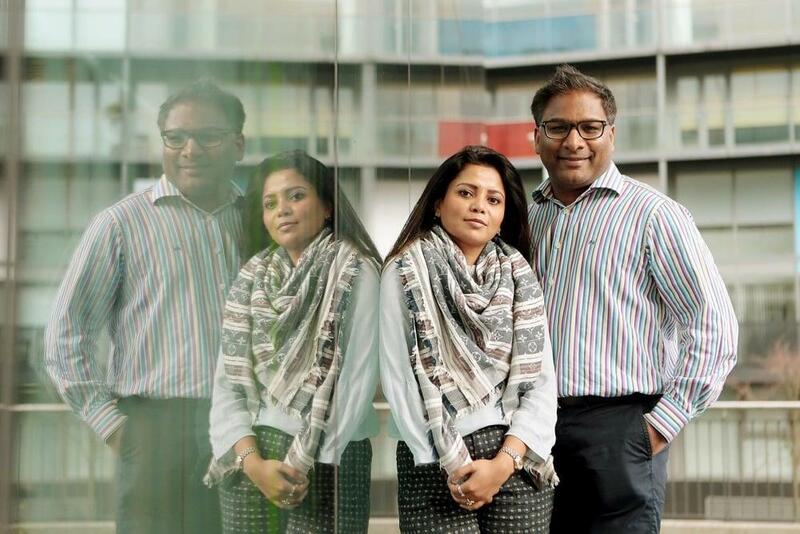 Poonam Gupta has led PG Paper to become one of the UK’s biggest paper companies. The company is instilled with drive and motivation, and we pride ourselves on the attention to detail and outstanding customer service every client receives. These values have been crucial to our success. News - Poonam Gupta awarded OBE in the Queen's New Year Honours List. We export over 85% of our total volume of prime paper and stocklot paper to the Indian Subcontinent and the Far East. More specifically, we partner with several of our family-owned printing, sheeting, converting and manufacturing facilities between India and Pakistan. This means we work directly with local end users in a noncompeting market segment. In the last few years we have grown to develop a presence in other major markets including North Africa and South America. We are always trying to do things a little differently at PG Paper and find new ways to develop our business and offer the best possible solutions to our clients and partners. Our in-house research team are a crucial part of our new developments and opportunities as we continue to diversify our business portfolio. We work directly with many major mill groups across the world with their A grade, first choice paper, offering our clients a made to measure paper, specifically suitable for their needs. We work closely with our mill partners as we continue to develop new markets with them and understand their papers and boards, while supplying our customers with quality paper from across the globe. Being environmentally conscious is a value that is instilled in all PG Paper staff and we are very proud of this. We strive to ensure that we are providing a quality product to our customers while simultaneously protecting our surrounding environment. We are registered with the Scottish Environmental Protection Agency.